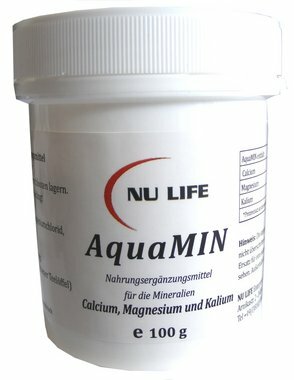 Additive product for the Aquaphaser® in a ratio of 2:1. Addition of a knife tip doubles the ionization speed of tap water, without deterioriating the taste. Delivers ionized Calcium and Magnesium to increasing hardness of reverse osmosis water or distilled water in order to ionize it.